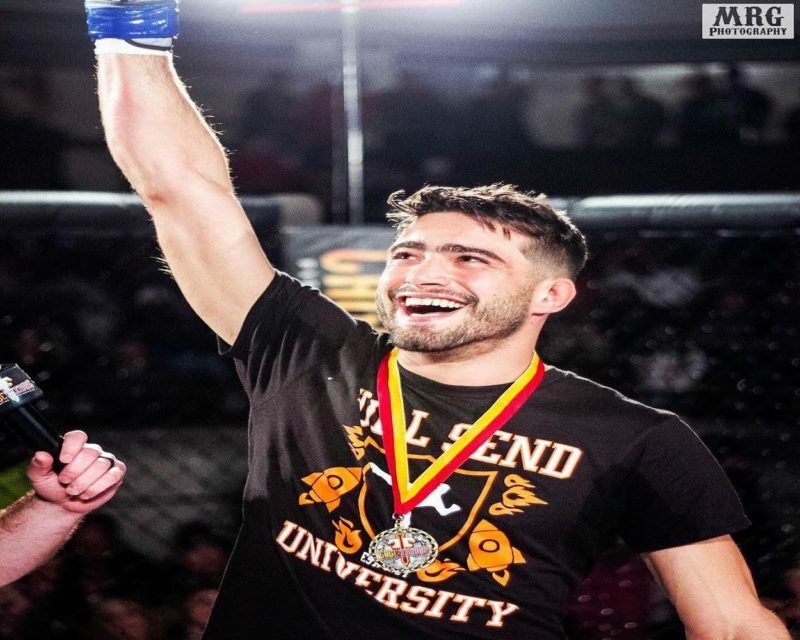 UFC Fight Night 147 was a definite mixed bag for the UFC’s attempts to build British stars; while Leon Edwards and Nathaniel Wood put on excellent performances, Darren Till’s knockout loss seemed to mute the hopes (even more than the Woodley loss did) that the UFC had for their most high-profile European prospect. 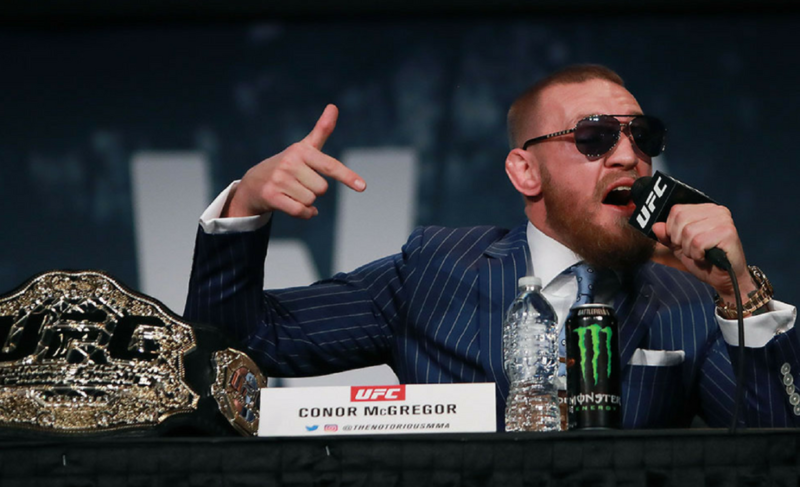 That said, the mere existence of such a robust British market and talent pool is a great asset for the UFC, and the massive growth of MMA in that area is often credited to the man that the promotion has announced will go into the UFC Hall Of Fame: Michael Bisping. Insofar as utility for the UFC, Bisping is unmatched; not only was he a successful fighter who had fought under the UFC banner for a decade, he also proved a uniquely successful promotional figure and provided value even post-retirement as an analyst and commentator. 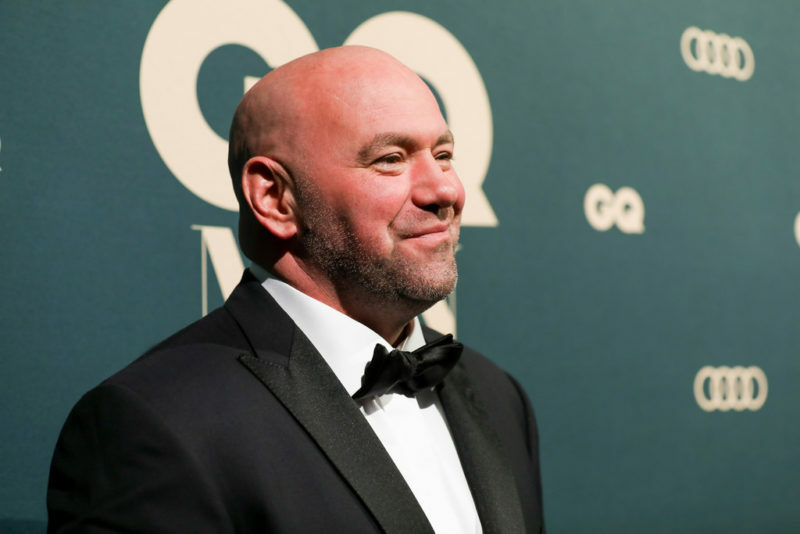 “The Count” was a lock for the UFC Hall Of Fame even prior to his title run; however, his legacy as a fighter is controversial despite an array of late-career performances that stand up to anyone’s in middleweight history. It’s a true testament to Bisping’s late-career technical renaissance that he became champion post-prime in a division where his opposition was scarier than ever. In truth, early-career Bisping wasn’t particularly good; his reputation as a gatekeeper at that point was a relatively sound one, as the challenge to beating him was more his unique attributes for the weight class than anything else. Bisping had a good idea of how to effectively leverage these attributes, but it wasn’t a function of technical depth; at that point in his career, Bisping basically just threw 1-2s over and over, but kept such a torrid pace that middleweights simply couldn’t keep up over the distance. Combined with excellent defensive grappling and underrated finishing instincts (despite not being particularly powerful, if Bisping saw his man tired, he’d pour it on in the pocket and in the clinch), Bisping was relatively successful despite a shallow offensive game. What let Bisping down against the elite fighters of his time was his lack of reliable defense; in conjunction with his relative discomfort as a counterpuncher and his lack of power for the weight class, Bisping’s vulnerability in the pocket meant that an opponent who committed to just wading forward and punching him could often do so. In fact, one of the promotional angles for Bisping’s fight against Jorge Rivera was Bisping getting tagged by right hands often, and Jorge being able to throw a right hand. C.B. Dollaway was able to reliably catch Bisping with the left hook (dropping him on the exit in the first round, and basically spamming it for the rest of the fight with a disturbing amount of success), and Wanderlei Silva tanked through the offense of Bisping to get a close decision. Bisping’s defensive vulnerabilities made him a notorious call-out target for a middleweight looking for a step-up; a fight against ‘The Count’ meant an opponent who could be hit and leaned on his recoverability relatively often, and also meant (more often than not) a huge stage on which to perform. Bisping was a bit of a project for the UFC from the beginning, as the man to open up the British market, so he got some preferential treatment in terms of promotion; Bisping helped that along with his own antics (his weigh-ins were famous for a lot of aggressive pointing and Bisping jawing the entire time), as well as a style guaranteeing a fight that wasn’t likely to be boring. Bisping was aggressive enough that his one-sided fights were demolitions where Bisping did nothing but attack for minutes at a time, and he wasn’t hard to drag into a war. 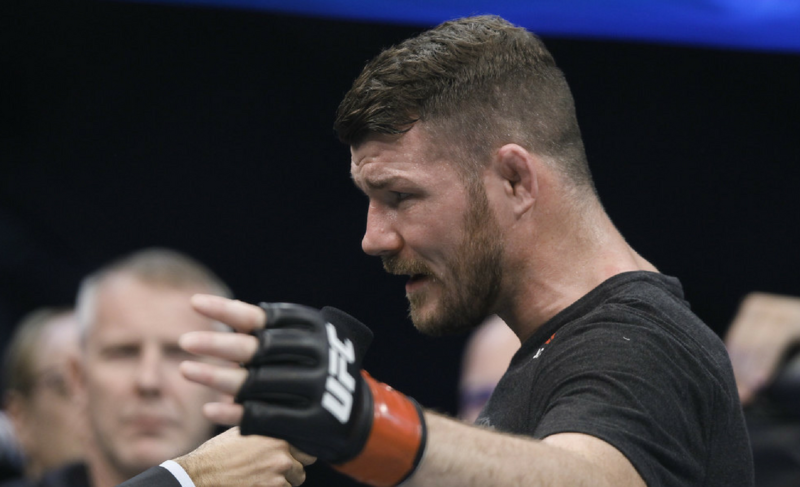 Bisping inhabited that space for the better part of his career, as an action fighter and a test for someone meant to be elite; each time Bisping seemed to get a crack at the elite, though, he would falter, and he had real trouble amassing momentum from 2012 through 2014 (a seven-fight stretch in which he alternated wins and losses). Bisping had almost gotten to a title shot with the preceding winstreak, only to lose a very questionable decision to Chael Sonnen; he went 3-3 in the following two years, and sustained a vicious eye injury at the hands of an absurdly-enhanced Vitor Belfort in the process. Bisping still found success, putting on a classic performance to rip apart the face of Cung Le, but the one-sided loss to Luke Rockhold in November of 2014 seemed to signal the end of the line for Bisping’s title hopes in the face of a bigger, more athletic, better-rounded generation. 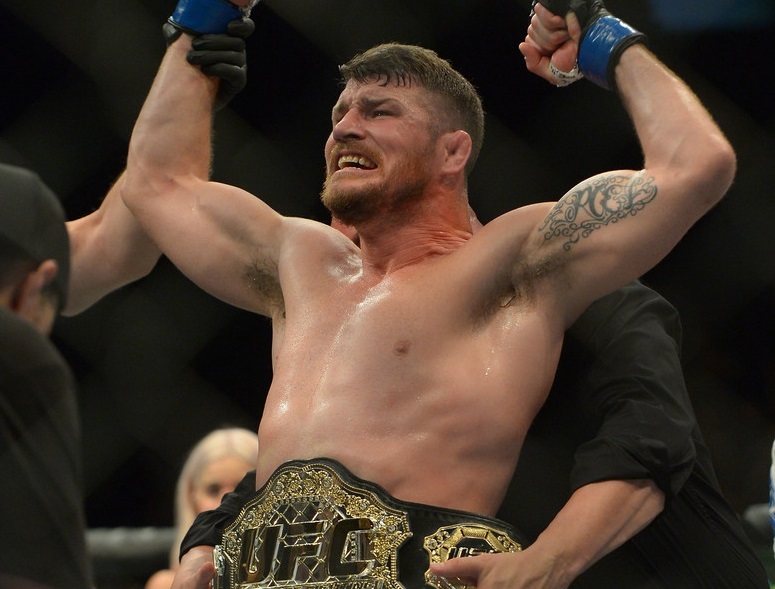 That Michael Bisping was able to win the belt after all can largely be attributed to Jason Parillo, Bisping’s coach after Bisping’s split with Wolfslair. 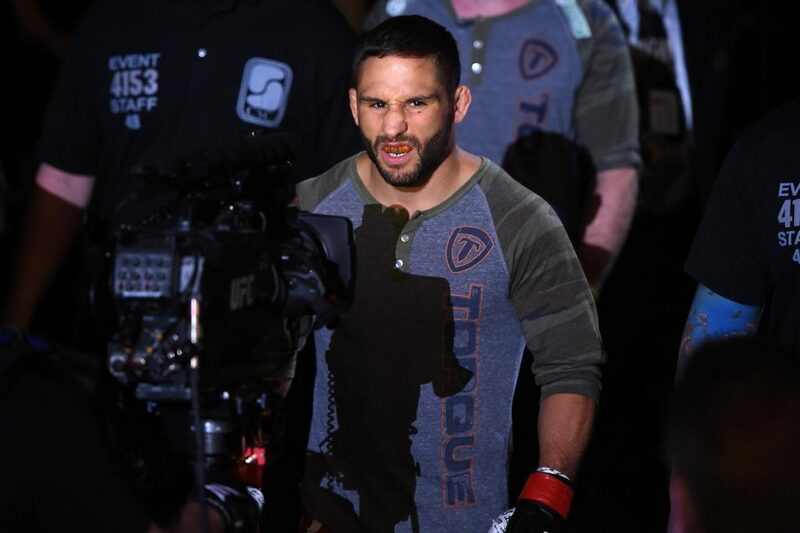 Parillo hasn’t built a stable as recognizable as the more notable MMA supergyms, but the fighters who spent time in RVCA have reliably shown stronger boxing fundamentals and pocket defense; Rafael dos Anjos honed his boxing with Parillo before he dominated Robbie Lawler in a career-best performance, and Cris Cyborg developed some of the best boxing and defense in WMMA after she joined Parillo. 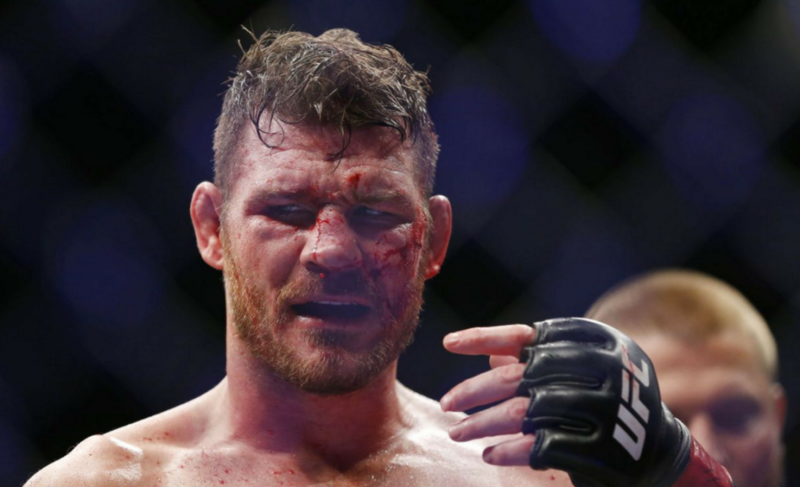 Bisping was no different; with more miles on the clock than almost anyone and an eye that seemed dire at best, Bisping strung together unusually thoughtful performances and showed skills that he hadn’t fully leveraged prior. The best example of such technical development was the first two rounds of Bisping’s fight against Anderson Silva; the fight overall ended up controversial, due to a third-round knee severely stunning (and, as many maintain, knocking out) Bisping, but it can’t really be denied that Bisping won the first two rounds in a fashion that most didn’t see happening. While a lot of Classical Bisping was there (constant feinting and activity), some useful new wrinkles were comfort under fire and a good left hook; the former allowed Bisping to hold Silva off as he charged forward at the end of round 1, lacing him with counters on the way in, while the latter allowed Bisping to use the left hook as a throwaway punch and step in with a combination as Silva threw himself out of position. The Rockhold rematch showed similar skills, but also a sort of fight IQ that Bisping hasn’t shown in the past; early Bisping fought his fight every time, but at UFC 199, Bisping did everything possible to accentuate his strengths in the face of Rockhold’s limitations. Bisping’s approach against Rockhold in 2014 made the American look invincible, as Bisping ran forward with 1-2s and got nowhere, but Bisping circling away from the left kick and drawing out the check hook to force Rockhold to actually box made him look uncomfortable. Bisping pressed his edge and got the first-round knockout, sitting down on a shifting counter left that caught Rockhold clean before he could bail out of the pocket. It was one of the smartest rematch performances ever, and one that could have only been executed by the Bisping of RVCA. If there’s a tragic aspect to the Bisping story, it’s that he didn’t join Jason Parillo sooner; Bisping hit his best iteration in early-to-mid 2016, where he still had enough athleticism to make his technical developments relevant, but he plummeted athletically soon afterwards. ‘Peak’ Bisping was more his second peak than his first, when he seemed to hit his stride with Parillo in his corner and put together showings that suggested that his technical development more than made up for his athletic decline; however, if both had converged, Bisping’s career would likely be seen with far more respect. As is, Bisping had two performances that gave hints of a more polished and smarter competitor, but his first title defense (getting tagged multiple times by the one-note right hand of Dan Henderson) was decidedly shaky and suggested that he was athletically too far gone. Even a clearly declined Bisping still had one great performance left in him, against one of the greatest fighters of all time in Georges Saint-Pierre. Granted, the fight wasn’t exactly a legitimate title defense, but the fight was excellent despite both Bisping and Saint-Pierre looking like diminished versions of themselves. While the fight didn’t show that Bisping could have hung with prime GSP, Bisping did show a few tools that very clearly gave Saint-Pierre’s usual tools some trouble; Bisping was able to jab with GSP with a good amount of success, and frustrate his top control with a very good getup game and a Ferguson-esque guard approach (cutting GSP open with elbows from the bottom). Bisping came away with a loss, but the performance was respectable at the very least. The Gastelum loss meant very little, considering the circumstances; Bisping entered on short-notice, and it was only three weeks after the loss to Saint-Pierre (the fill-in was only even possible because Shanghai didn’t have an athletic commission). What it did serve to do was confirm the conclusions that one could have drawn since UFC 204; Bisping was declined enough that any edge in skill probably wouldn’t mean much in the face of speed and power. 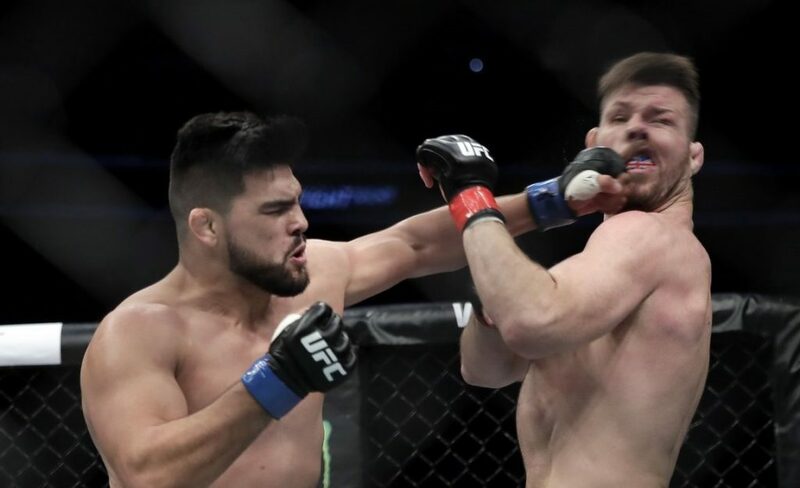 Gastelum’s technical approach was somewhat reminiscent of early Bisping, in the sense that it relied on constant 1-2s and relentlessness; while Bisping was able to pour on volume early, it was really only a matter of time until Gastelum’s power became relevant in the face of his athletic edge and Bisping’s defensive issues. Michael Bisping turned out to be an intensely controversial fighter, largely due to his title reign being outright bad; no one had any illusions that Dan Henderson and GSP were the ones deserving to fight the champion, especially when Robert Whittaker won the interim title and never got a unification bout. That said, Bisping’s career is the kind that deserves a Hall Of Fame induction even beyond just “opening up the UK for the UFC”; it takes a very special fighter to make the sort of strides Bisping did in just a few years, so late in his career, to beat a fighter as excellent as Luke Rockhold, especially when Rockhold had proven to be a prohibitively difficult fight for him in 2014. There are very few underdog stories as compelling, and that win alone justifies Michael Bisping’s status as a legend of the sport. Really enjoyed reading this. Thoughtful and considered piece. I think there’s only 1 element missing which the entry of USADA which has been mentioned countless times. But like your post says, bisping + parillo = great combo. Add usada and no try / juice and who knows what could have happened. I also think Bispings power or perceived lack of it is over stated. Look at Diaz brothers, Domick cruise and however many others have similar high energy, high tempo styles yet they don’t get tainted with the pillow fist strap line. Thanks for stopping by and commenting, Martin!